Our team at Jaypee Hospital provides the best treatment, care and support to the cancer patients. We believe in a multidisciplinary treatment approach that involves specialists from various disciplines such as medical, surgical and radiation oncology. We have a state-of-the-art diagnostic facility for detection of varied types of cancers and Surgical Oncology is the specialized division that deals with surgical management of cancer care. The team deals with diverse category of patients and offers a comprehensive curative, palliative and rehabilitative services for very diverse oncology related conditions. Diagnostic services include biopsy and endoscopy. Majority of the surgical management is required in case of cancers of the breast, gastro-oesophageal, hepatobiliary, pancreatic, colorectal, genitourinary, gynecological, head & neck, endocrine and musculoskeletal organs. Expert Radiation Oncologists used high-end diagnostics to determine the need for radiation therapy to treat cancer using advanced imaging techniques. The Radiation Oncology program includes both curative and palliative radiation treatments for patients who are ambulatory and self-supportive. Radiation treatment is prescribed to the patient after an exhaustive diagnosis and can include treatment procedures like external beam radiation therapy, intensity modulated radiation therapy (IMRT), low and high dose brachytherapy (HDR), stereotactic body radiation therapy (SBRT), or stereotactic brain radio-surgery (SRS). 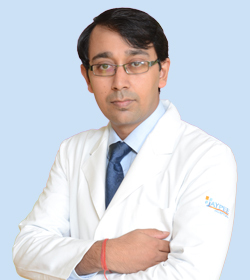 The team of specialized oncologists works in a multi-disciplinary environment keeping patient as the focal point. The team uses highest standards of patient evaluation, planning of treatment procedures, supervising the progress and arriving at desired outcomes. The division is dedicated to diagnosis and treatment of blood related cancerous and non-cancerous disorders. The expert Oncologists and Hematologists provide related treatment and outpatient care service for all varieties of blood disorders such as anemia, bleeding disorders such as hemophilia, blood clots, thalassemia and cancers such as leukemia, lymphoma, and myeloma. The division is equipped with complete facility and expertise to conduct treatment like chemotherapy, anti-microbial therapy and supportive care post-chemotherapy or post bone-marrow transplantation.. Bone marrow transplantation is procedures in which stem cells from the donor’s bone marrow, which produce the different blood cells like red blood cells, white blood cells and platelets are injected into the recipient. We are one of the best and dedicated bone-marrow transplant centres and our team that works in the a most sterile and hygienic centre, equipped with ultra-modern infrastructure, is widely experiences and internationally trained. 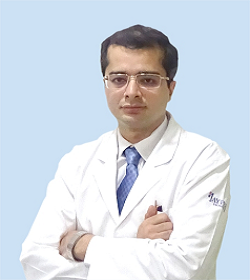 We offer both allogenic and autologous transplant using bone marrow, peripheral blood stem cells and cord blood stem cells for various benign and malignant blood disorders like thalassemia, aplastic anaemia, leukemia, lymphomas, multiple myelomas and advanced solid tumors for adults and children both.